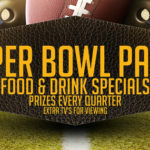 Huggo's On The Rocks | Kailua Kona Casual Dining » Biggest Super Bowl Party in Kona! Biggest Super Bowl Party in Kona! Congratulations to both the Champion Ravens and 49ers on a great season-ending game Sunday. On the Rocks, Huggo’s sister restaurant located just next door in the heart of Kailua-Kona, was jammin’ from kick-off until the clock ran out in the 4th quarter with the Ravens clinching the Super Bowl 47 win by just 3 points (34-31). $1,000 in prizes were given away throughout the game by General Manager Greg Peterson and the decidedly pro-49er crowd partyed hardy and had a great time despite the outcome. 4th quarter (final score) , Grand Prize Winner: Pat Balzano of Kona — a daily guest at On the Rocks – who won a one night stay at Lava Lava Beach club — a $600 value!